This innovative daily body lotion not only provides long-lasting moisturisation but also helps restore the skin's elasticity, for a difference you can see and feel. It combines Norwegian Formula intense hydration with active minerals, which help boost skin's own collagen production*. Day after day, your skin is visibly smoother, more elastic and supple. With a non-greasy, fast-absorbing texture that leaves a delicately scented and soft after-feel. For best results, apply morning and evening to the whole body. [PR-015158], Aqua, Glycerin, Paraffinum Liquidum, Isopropyl Palmitate, Petrolatum, Dimethicone, Stearyl Alcohol, Glyceryl Stearate, PEG-100 Stearate, Leontopodium Alpinum Extract, Magnesium Aspartate, Zinc Gluconate, Copper Gluconate, Ethylhexylglycerin, Palmitic Acid, Stearic Acid, Ammonium Acryloyldimethyltaurate/VP Copolymer, Acrylates/C10-30 Alkyl Acrylate Crosspolymer, Alcohol, Disodium EDTA, Sodium Hydroxide, Phenoxyethanol, Parfum. I bought this product because my skin felt very dry and had lost its lustre after barely two weeks of using it night and day, my skin is more lustrous than ever, it also leaves a mild lingering scent which i absolutely love. A new me from a bottle! From the first time I used the Neutrogena Visibly Renew Body Lotion I loved it! The packaging looks great - clean and simple - and the pump dispenser makes it easy to control how much you apply. The smell is amazing - not too overpowering but enough scent to make you feel good. My skin felt really moisturised immediately, and on using it as part of my daily routine I have noticed a huge improvement! I only used it once a day rather than twice (the packaging recommends twice daily) and even had to skip using it the odd day as I'm often busy, but the results are still great. My skin is not only less dry, but it's 'younger' - I feel like it is more toned and smooth. I will definitely continue to use this product as part of my routine and feel more confident about my skin as summer approaches! Having been using this moisturiser for some time now I can honestly say I am really impressed. 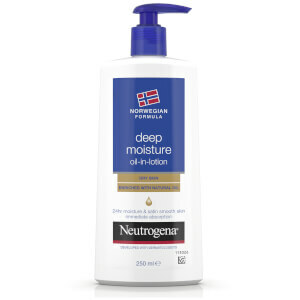 First impressions of the design of the bottle is good, it has an engaging design and clearly shows its benefits and it's easy to identify the Neutrogena brand. The bottle has a lockable pump so it can be packed in luggage without worrying about leakage and when using the pump it gives a good controlled amount of product so you can use as little or as much as you like. When using the product I found you only need a little amount to get a good area coverage which means the bottle will last a good amount of time even with daily use. The moisturiser is a nice thickness and not runny so it is easy to apply without any mess. It absorbs into the skin quickly without leaving a greasy residue like some moisturisers do which is a bonus. It has a subtle fragrance without being over powering so it can be used daily without compromising your perfume. It leaves your skin feeling soft and moisturised on first application and leaves your skin feeling this way for some time. Regular use has also improved my overall skin condition and my skin is no longer as dry as it previously was. Therefore I would definitely recommend this to others and will continue to use it myself. Neutrogena Visibly Renew Lotion is an amazing new product. Presented in a white bottle, it has a pump action dispenser, making it easy to use. The lotion is white and has a light scent. it is very kind to even the most sensitive skin. Applying the lotion is easy and quick as it absorbs into the skin very quickly and does not leave a oily residue. Before using this lotion, my skin was highly sensitive to using different lotions and was extremely dry 'crocodile skin' . 7 days into using the lotion, my skin was soft and smooth. It looked as if I had been using a body scrub when in fact it was just the lotion and nothing else! On the first week of use, I applied the lotion twice a day. The next week I reduced it to once a day with the exact same results. My skin truly feels and looks renewed. This body lotion is quite thick but the pump on the bottle works well and I didn't have a problem with getting the lotion out. Although it is quite a thick consistency it absorbs quickly and does improve the appearance of my skin. I even added my favourite foundation to it an applied which worked really well. I have just come back from a girls weekend where we all used it after a night out. It made us all look and feel presentable and certainly improved the look of tired skin. 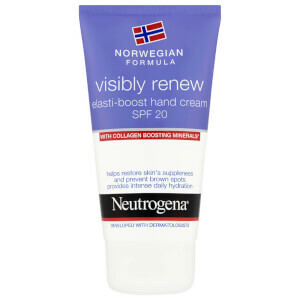 Having used this for nearly a month I have already recommended Neutrogena Visibly Renew Body Lotion to my friends and the girls I went away with were equally impressed. I really enjoyed trying this moisturiser and getting my body ready for the summer months. I used this particularly on my legs as they are often dry and I can positively say that within a few days of use a lot of the dryness had gone and they were on their way to being summer ready. I liked the pump action which allowed me to dispense an even amount and not have lots of wastage. The mild scent was also pleasant and not too overpowering, I do like moisturiser to have a little smell and this was just right. Within one application my legs felt smoother, the cream spread evening and it wasn't at all greasy like other brands. I will continue to use this and would buy again. I have also just started using it on my baby bump to keep it hydrated and supple to hopefully avoid some stretch marks appearing. I have been using my Neutrogena Visibly Renew body lotion for over 2 weeks now and I am very impressed with how soft and supply my skin is. I love the smell of the lotion, its fruity smelling. Once applied to my skin the lotion soaks in straight away with no greasy feel to your skin. I feel like the cream is moisturising my skin all day. My skins looks and feels better, especially around my knees, as there are no dry areas and tight spots. I loved the Neutrogena Visibly Renew Body Lotion - it felt great on my skin and was so easy to apply. Some body lotions can get quite runny or be too thick, but this one is just right. It has a very mild fragrance, so does not overpower any other fragrance you wear, which was a plus for me, as I personally like body lotions to not have strong fragrances. My skin felt instantly nourished and stayed moisturised for the next 20 hours at least!!! I totally recommend this product as the solution to all dry skin problems! Well done Neutrogena! 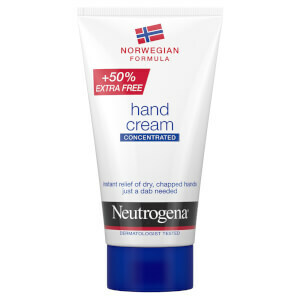 Being a fan of Neutrogena products I was looking forward to pampering my dry skin with the hope it would also help with the lack of elasticity in my upper arms. I had not long been home from a winter sun holiday so my skin was drier than normal. I found that using just once a day my skin felt more hydrated and the dry skin I suffer with quite badly on my elbows has completely disappeared. My skin is feeling a lot smoother. The cream absorbes into the skin nicely and has a pleasant smell. I love the pump action bottle as less mess and no slippery bottle and only one hand needed! I can't say that I have noticed any difference in the elasticity of my skin as yet, but the lack of dryness especially on my elbows and back is really pleasing. I will continue to use this cream and would definitely recommend to others for help with troublesome dry skin patches.